Newly installed Sen. Ted Cruz (R., Texas) said the potential nomination of former Nebraska Sen. Chuck Hagel would make war with Iran "more likely." Hagel, who is expected to be nominated by President Barack Obama Monday as the nation’s next defense secretary, would empower America’s enemies at a time when the country is facing danger on multiple fronts, Cruz said in a statement provided to the Free Beacon. 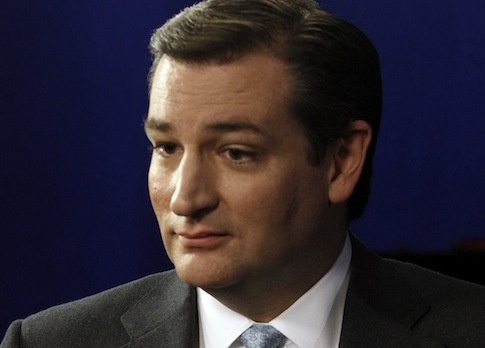 Hagel "has repeatedly been soft on our enemies," Cruz told the Free Beacon. "Bullies do not respond to weakness, and Hagel’s stance on Iran—the most serious national security challenge America currently faces—makes conflict more likely, not less likely." "Chuck Hagel is not the right choice for Secretary of Defense and if he is nominated, it is difficult to imagine any way I could support his confirmation," Cruz told the Free Beacon. "Hagel has not been a friend of Israel, our most important ally in a very troubled region of the world." Hagel’s possible nomination has also been opposed by a plethora of Jewish community leaders and lawmakers who have accused the former senator of adopting anti-Israel and anti-Semitic viewpoints. Hagel once reportedly said, "Let the Jews pay for it" in reference to a popular USO port located in the Israeli city of Haifa in addition to claiming that the so-called "Jewish lobby" intimidates lawmakers on Capitol Hill. The comment struck observers as blatantly anti-Semitic, according to those present in the meeting. Cruz went on to explain that Hagel’s foreign policy views are reckless and could endanger the U.S.’s standing in the world during increasingly dangerous times. The U.S.-Israel relationship would also become strained should Hagel be appointed to run the defense department, Cruz said. "America needs someone leading the Pentagon who understands that peace comes through strength," Cruz said. "And we need a Defense Secretary who will stand unshakably alongside the nation of Israel because that alliance is vital to preserving U.S. security." Hagel is simply "not the man" for the job, one that would place him at the forefront of the debate over Iran’s contested nuclear weapons program. "Although, if nominated, I will listen to what he has to say in a confirmation hearing, Chuck Hagel’s record strongly suggests he is not that man," said Cruz. This entry was posted in Politics and tagged Chuck Hagel, Obama Administration, Ted Cruz. Bookmark the permalink.